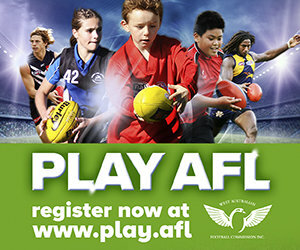 AFL 9s is a fast, free-flowing game that involves 9 players on each team playing on a smaller field. Best of all, it's mixed 'touch football' with no tackling or bumping, making it suitable for people of any age or skill level. "The Game for Everyone" emphasises inclusive competition that is accessible to individuals of all abilities. AFL 9s has strong parallels with the traditional game but is easier to play and provides an environment whereby participation, enjoyment and safety are the priority. It is as simple as getting a group of at least 9 mates together and registering a team for the upcoming season. Mixed teams must include a minimum of 3 girls but we strongly encourage teams to aim to get as many girls as possible. Can’t get a team together? You can register as an individual player and will then be allocated to a team. AFLX is a new and exciting game created by the AFL to showcase some of the most thrilling elements of Australian Football. While there are some familiar aspects, this new game will provide a very different experience. AFLX is played on a rectangular field with seven players on the field and three on the bench. AFLX is an express form of the game, with explosive action exhilarating fans of all ages. There are 10-point super goals, last-touch out of bounds and non-stop action on and off the field. AFLX youth competitions for Year 7-12 students was trialled in the Spring, 2018 in Piara Waters and will return in Summer 2019. More information to come.